ALZETA's FireStar™ burners operating in ultra-low NOx mode. Burner modules in a typical field installation. Call Jim Gotterba at (408) 727-8282, or Click "Contact Us" at the top of this page. ALZETA Corporation, world leader in Ultra-Low NOx burner technologies, delivers the “system solution” for atmospheric boiler operators requiring compliance with BAAQMD Regulation 9, Rule 7. 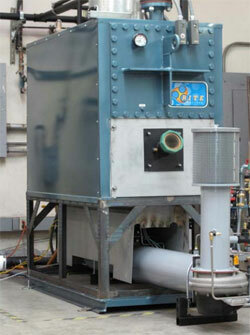 ALZETA developed our first atmospheric boiler retrofit package in the 1990’s for the Southern California market. The new FireStar™ is the system for 2011 and beyond. This package takes advantage of the latest in pre-packaged boiler controls; replacing and modernizing the existing the boiler and combustion control system. Your boiler will continue to provide reliable service for many years to come. Based on our SB 505 burner module, capacity is added in ½ million Btu/hr increments—increasing capacity simply means adding another module. 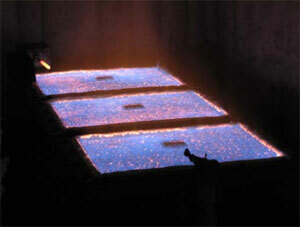 ALZETA applies its design expertise to select a burner array to match the internal layout of the boiler. You never need to worry about localized hot spots, bypassing, or non-uniform performance. 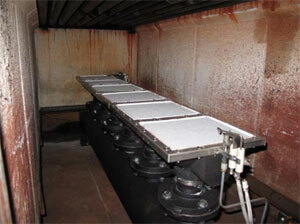 Installation typically takes one or two days after removal of the existing burner system. Many Bay Area atmospheric boilers are roof-mounted, so having modular system components that can be hand-carried to the point of installation is an installer’s delight! ALZETA maintains a fully functional boiler at our facility to demonstrate our FireStar™ burner system and to provide training for installers and operators.